Will Arkansans be able to exercise their Second Amendment rights on the University of Arkansas at Little Rock campus? 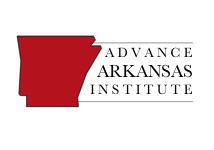 According to a story published Sunday in the Arkansas Democrat-Gazette, the Chief Executive Officer of a local charter school system is working to undercut Act 562, which was passed by the legislature in the 2017 session. When a state law allowing guns on Arkansas college campuses goes into effect later this year, most of the University of Arkansas at Little Rock will be exempt because of a high school moving in, according to the charter school’s chief executive. Starting in August, eStem High School will have a presence on the campus, and federal law prohibits guns within “1,000 feet from the grounds of a public, parochial or private school,” with some exceptions. The partnership between eStem and UALR is unique to the state, though some other campuses — like the University of Arkansas, Fayetteville — also may see some guns-zone exemptions because of bordering high schools, according to a newspaper analysis. The analysis found that the guns-free zone in Little Rock will likely bisect several buildings and a cluster of student dormitories. UALR Chancellor Andrew Rogerson said he is relying on the eStem schools to develop policies related to the guns-free zone. While it’s true that there’s a federal law prohibiting guns within 1,000 feet from the grounds of a public, parochial or private school, there are exceptions written into federal law. One of those exceptions is for individuals carrying a firearm who are “licensed to do so by the State in which the school zone is located or a political subdivision of the State.” That’s from 18 USC 922(q)(2)(B). 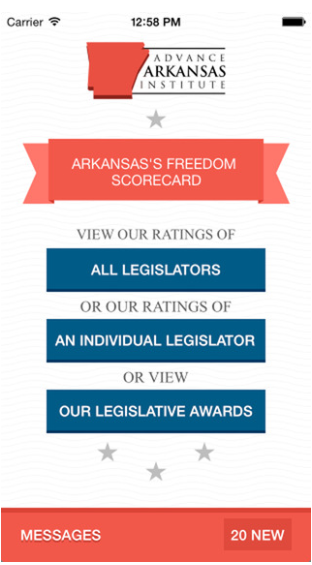 Since individuals completing training requirements under the new “enhanced carry” program are licensed to carry on public college campuses, it would appear that Bacon is incorrect in asserting that federal law exempts most of UALR from Act 562. Unfortunately, the story on Sunday fails to mention this pertinent fact. Bacon didn’t return a call from The Arkansas Project Thursday. Trent Garner said in an interview Thursday that the newspaper’s story was the first time he heard about the possible UALR and eStem exemption. When we had the initial debate I remember briefly discussing with some people about the federal law. It’s my understanding that it doesn’t apply. The first time that I heard about the UALR and eStem exemption was in the news story. I, probably like many people, thought that doesn’t sound right. I, frankly, was kind of surprised to hear it from a news station rather than either the leadership of the University of Arkansas system or the CEO of e-Stem. I did a cursory search of the applicable law. There’s a pretty clear exception for if a state has a license or exemption on its books and that it’s exempt from that 1,000 foot rule. It’s pretty clear. That wasn’t mentioned in the story and that wasn’t mentioned by either the U of A leadership or the eStem leadership as well. What I think is so disappointing about this whole situation is if I could’ve talked to the U of A leadership or the eStem CEO, I think we could have had a good conversation and maybe discussed some reasonable guidelines that don’t run counter to the law. Instead, I had to read in the paper about how ‘we’re going to make this zone as wide as possible.’ [Seemingly] with the intent to stop people from exercising their Second Amendment rights…that’s troubling to me. I want to make sure after this long, hard fought battle to get this enhanced carry that this isn’t usurped by some loophole that in my opinion doesn’t apply to the situation. Garner said he planned to wait for eStem’s plan to be completed later this year before deciding how to move forward. If the finalized plan does have pretty severe consequences for enhanced carry on campus, I think there will be consequences to those actions. This ordeal is disappointing, because in May we reported on how the University of Arkansas System’s interpretation and implementation of the law was consistent with the legislative intent of Act 562. However, this proposed plan by Bacon would gut that legislative intent of expanding Second Amendment rights on state-funded grounds like college campuses. Let’s hope eStem and UALR officials take another look at this federal law and reverse course on implementing this plan that would keep a major college campus in Arkansas as a gun-free zone.